Make a lasting impression with our Long 3D Bar Necklace in Rose Gold Plating! A gorgeous piece that’s perfect for your own collection and ideal when shared as mum jewellery, this necklace offers the soft, beautiful glow of rose gold while sharing a unique message. 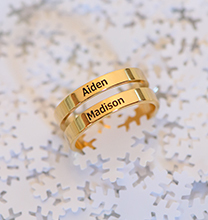 Just right for personalising with the names of the children or grandchildren mum or grandma cherishes, it’s also ideal for best friends, sisters, or treating yourself to a touch of inspiration or encouragement. The choices are truly endless! 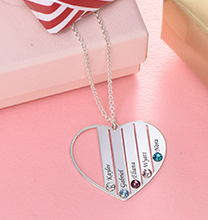 Not only does this pendant give you the option of customising with one to four inscriptions that tell a story of love, friendship, or perseverance, it serves as a fantastic accessory that looks incredible when worn. Versatile enough to pair with everything from the casual styles that keep you comfortable while taking care of errands and chores to your favourite evening looks, it easily takes you from weekday to weekend and daytime to nighttime. 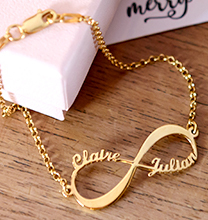 It is chic and elegant yet simple and unpretentious: No wonder this necklace is so popular! 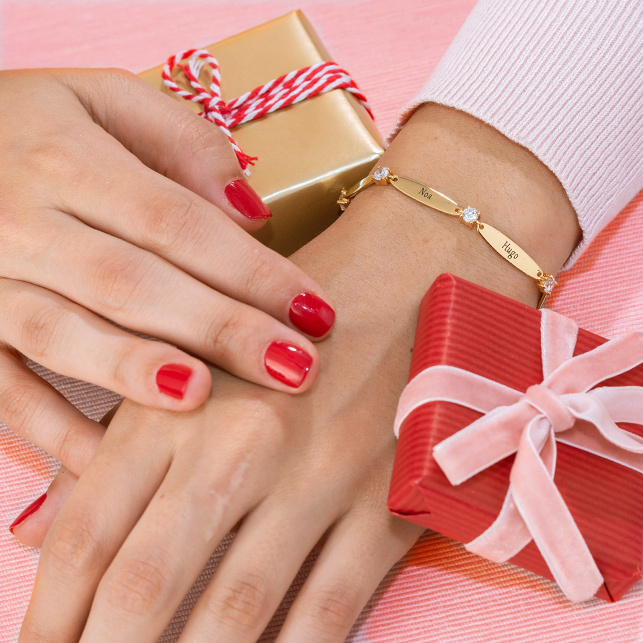 However you style it and whomever it’s for, it is certain to be a favourite. 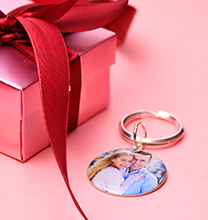 Once you decide on special touches, our artisans pull all the details together, creating a piece that’s truly one of a kind. This gorgeous necklace is made with 18ct Rose Gold Plated Sterling Silver (0.925) and comes complete with a matching Rose Gold Plated Box Chain. Love the look? 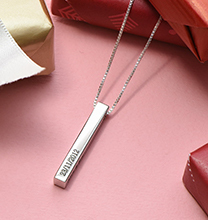 Visit our collection, where you’ll find horizontal bar necklaces and more, including this sleek style in your choice of Sterling Silver or 18ct Gold Plated. Simply stunning!